"Rod, Thank you for addressing my recent concerns regarding our home. I am grateful for the work that was completed. In addition, I truly appreciate your willingness to share advice and opinions regarding repairs. Best wishes for continued success in your business." 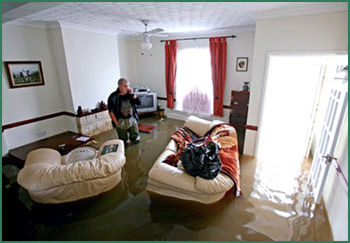 Homecrafters is Shaker Heights’ foremost Experts on Water Damage Clean-up, Water Extraction, Structural Drying and Repairs. Our reputation for integrity, compassion, customer service as well as the highest quality of workmanship is why Insurance Companies & homeowners alike choose us to repair their homes. We take your emergency very seriously as if you were family. Most Water Damage claims occur when no one is home, from a burst pipe on the second floor of your home to your hot water tank leaking into your finished basement. These things are uncontrollable; however time is of the essence to get the drying process going as quickly as possible to keep Mold Infestation from happening. Mold can start breeding between 48-72 hours without proper professional mitigation. Your family’s health & safety is our paramount concern and that’s why our Emergency Response Teams are “Fired Up & Ready 24/7” to get help out to you right away. We have proudly restored thousands of Water Damaged properties and we know how important getting your family back to a safe& healthy living environment is. 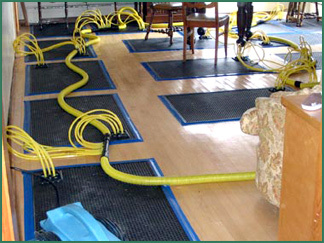 We are an IICRC Certified Firm in Water / Fire Damage Restoration & Applied Structural Drying. Certification is important because it assures you that your home will be mitigated correctly. Structural Drying is a science and we utilize Psychometrics’ to insure a concise, progressive dry-out of your home or business. We have state-of-art moisture meters that detect exact moisture levels in structure as well as specialized commercial drying equipment to dry your structure down as fast as possible. We monitor the drying process of your home on a daily basis so we can return you & your family back to normal as quickly as possible. During the drying process, we will coordinate with our Repairs Division so when we are done drying your home down, we can get started on the repairs. We strive to give excellent customer service which is one of our Core Values.